Sean Smith, Chief Executive Officer of Eden, said: “The development of this head-lice product has been in progress for approximately three years and it is good to see it now being commercialised. Eden Research plc (AIM: EDEN), the AIM listed company that develops and supplies breakthrough biopesticide products and natural microencapsulation technologies to the global crop protection, animal health and consumer products industries, is pleased to announce that its associate company, TerpeneTech Limited (“TerpeneTech”), has received regulatory clearance to sell its head-lice product in the European Economic Area (“EEA”). Sales of the head-lice product into the distribution channel are expected to begin before the end of 2018 in the UK, where TerpeneTech’s distribution channel partner has already been established, with commercial launch at the beginning of 2019. Sales will commence in other countries in the EEA once arrangements with additional distribution partners have been finalised. This is expected to take place during 2019. 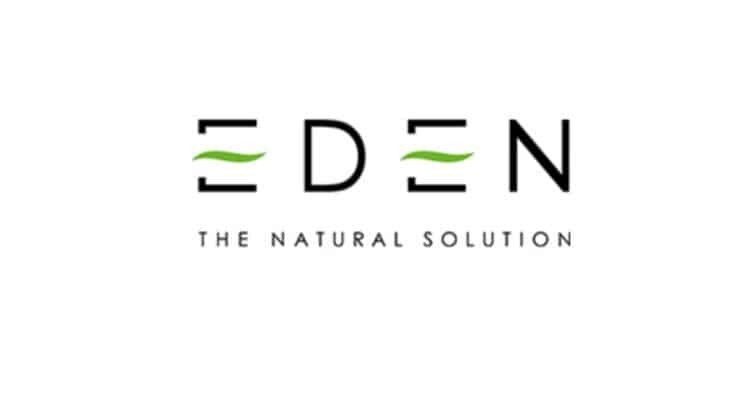 Eden will supply a concentrate of encapsulated active ingredients (based upon Eden’s microencapsulation technology) to TerpeneTech, who will then formulate the finished product for initial sale by its distribution partner into the UK retail market. The launch of any consumer product into a regulated market, such as the head-lice treatment products market, is significantly more complicated, time consuming and costly than launching products into unregulated markets. Therefore, we are pleased with the progress that TerpeneTech has made in only three years since it was granted a licence to use Eden’s microencapsulation technology for head-lice treatment formulations. Antoine Biron, Director of TerpeneTech, said: “Our head-lice treatment product has performed very well in clinical trials where it has been tested against leading, competitive products. We believe that the product will be well-received by consumers due to the product’s naturally-derived active ingredients, ease of use, safety and efficacy. Eden’s encapsulation technology harnesses the biocidal efficacy of naturally occurring chemicals produced by plants (terpenes) and can also be used with both natural and synthetic compounds to enhance their performance and ease-of-use. The technology uses yeast cells that are a by-product of numerous commercial production processes to deliver a slow release of natural compounds for agricultural and non-agricultural uses. Terpenes are already widely used in the food flavouring, cosmetics and pharmaceutical industries. Historically, terpenes have had limited commercial use in the agrochemical sector due to their volatility, phytotoxicity and poor solubility. Eden’s platform encapsulation technology provides a unique, environmentally friendly solution to these problems and enables terpenes to be used as effective, low-risk agrochemicals. The Company has a number of patents and a pipeline of products at differing stages of development targeting specific areas of the global agrochemicals industry. To date, the Company has invested in the region of £13m in developing and protecting its intellectual property and seeking regulatory approval for products that rely upon the Company’s technologies. Revenues earned by the Company have been modest whilst the Company has concentrated on securing patent protection for its intellectual property, gaining regulatory approvals, identifying suitable industrial partners, and entering into commercial agreements. In May 2013, the three actives that comprise Eden’s first commercial product, 3AEY, were approved as new ingredients for use in plant protection products. This represented a major milestone in the commercialisation of Eden’s technology and is a significant accomplishment for any company. To illustrate this point, one should note that in all of 2013, Eden’s approvals represented 3 of only 10 new active ingredients approved by the EC. 3AEY has been authorised for sale in Kenya, Malta, Greece, Bulgaria, Spain, Italy, France, Cyprus, Albania and Portugal.